When Anderson Silva was popped by USADA and ultimately removed from the UFC’s first event in mainland China, Kelvin Gastelum was without an opponent. Michael Bisping, who had stated his intentions to fight ‘as soon as possible’ was drafted in, much to the admiration of many who praised his warrior spirit. There were others, however, who questioned whether the 38-year-old was amply prepared to step into the Octagon against Gastelum given his lack of preparation and little recovery time. Despite the scrutiny, Bisping made the show but suffered a brutal first-round knockout at the hands of one of the middleweight division’s slickest strikers. 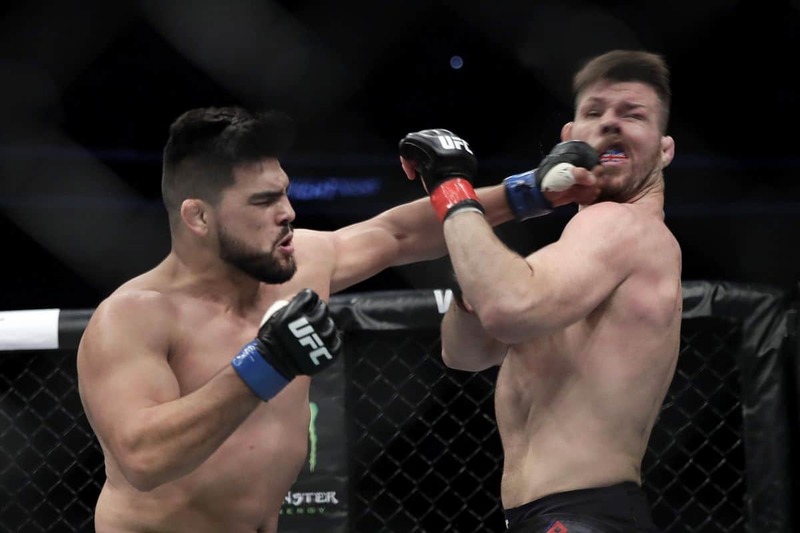 Although Gastelum was labeled an overblown welterweight by some, he delivered a very promising performance which should see him rewarded by a swift push up the rankings of the division. For Bisping, he may have gained a paycheck and a lot of respect in addition to the less desirable 0-2 record in his last two bouts…in three weeks. No stranger to setting records in the promotion. Bisping became the very first British UFC champion he dethroned Luke Rockhold at UFC 199 in 2016. “The Count” also holds the record for most fights in the promotion’s history at 28 and shares the top spot on the list of most wins in the UFC at 20 UFC 217 opponent Georges St-Pierre. It is the latest record that Bisping will least enjoy, however: the most knockdowns in UFC history. Bisping tops that list with a total of 12 knockdowns, having been put on his back four times in his last three fights. It is a worrying statistic and one which may add weight to the argument of those who believed that he was not ready to jump into another fight on such short notice. Below Bisping is Dan Henderson on 11, with Keith Jardine and Travis Browne following with 10 and 9, respectively. To critics of the way the promotion handles affairs at times, Bisping’s first-round knockout loss following a period of just three weeks removed from being ‘choked unconscious’ will be used as an example. To fight fans, many applauded Bisping’s fearless character in accepting the bout but most of us would probably have put the fighter’s safety before casting him as the gallant rescue of a failed fight card, had we known beforehand what he was stepping into it.